On this video you will learn the hierarchy of zero down structures. I’m going to start with teaching you how to buy “Subject To” deals. 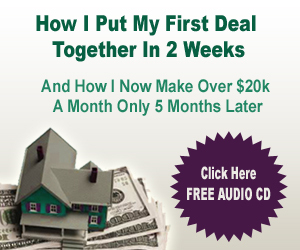 You actually get the deed in this structure – and yes, it’s safe, and yes, Sellers will do them everyday. Beautiful… no cash, no credit deals. 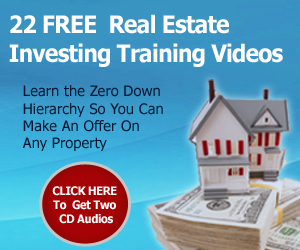 Understanding how to do zero down structures is vital if you’re going to have a real estate investing business. 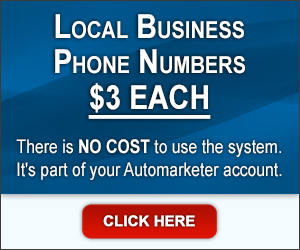 In this video, I’ll explain what they are and how to use them to get deals done. Joe: Let’s get started. Yesterday, I told you what we’re going to do and what the overview of this whole video series was about, i.e. analyzing deals, learning how to find the deal in a very short period of time, whether or not it’s going to make sense for you as an investor, whether you’re going to be able to have a good exit strategy for it and be able to make a profit on it, or whether it’s going to make sense to be able to sell it to another investor. In the first 8 or 10 videos, I’m going to talk about the theory behind this process and in the last 10 videos, I’m actually going to take specific deals and we’re going to over them one by one, based on a lot of different types of deals that you guys sent me. Joe: A couple weeks ago I sent out an email asking you for your deals: ‘Send me the deals. I’m creating a new video series. If you send them to me, I’ll try to analyze some of them for you.’ I got flooded with deals. I’m not going to be able to do them all, but what I am going to be able to do is try to take a representative group of all of the different types of deals that I got so that you’ll have a good understanding of how you can analyze each different type of deal rather than just staying all in one arena. 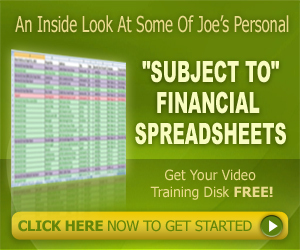 Joe: On this video, I’m going to talk about zero down and no credit deals and how to analyze those types of deals. The way that you do it is by using the hierarchy of zero down structures I created. You’ve heard me talk about this before and I talk about it in a lot of the different videos and training programs and free stuff I give away, so I’m not going to go into them in detail. As a matter of fact, I teach this to my mentor students, and on the Push Button Method, it takes me two and a half hours to go through this whole deal hierarchy. 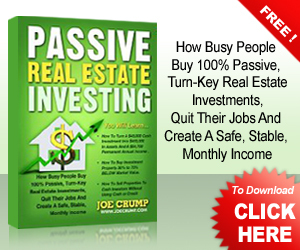 Joe: Understanding how to do zero down structures is vital if you’re going to have a real estate investing business. Zero down structures are the most valuable tool in your kit because they make it possible for you to do deals in many different ways and use many different structures to make it work. Joe: By hierarchy of deals, I mean the way you would structure a deal. You’re going to look at a deal and say, ‘Okay, can I first do the top layer in the hierarchy?’ The hierarchy is set up so that you are safest in the transaction at the top of the hierarchy. You want to do the deal that’s at the top of the hierarchy. But you can’t always do the top deal in the hierarchy. Sometimes you have to come down in the hierarchy in order to make it palatable to the seller. What I’m going to show you how to do is how to know what that hierarchy is so that you know what your safety margin is and where you’re at as far as being in control of that transaction. You’re always safer in a transaction if you’re in control of it. 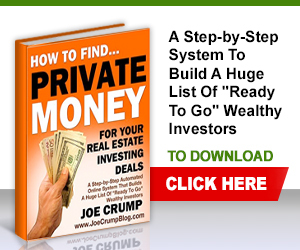 Joe: The top structure in the hierarchy is buying a property subject to the existing loan. This is when you’re buying a property, not selling it. If you’re selling a property, you’re not going to sell it “Subject To”. You’re only going to BUY a property Subject To. When you a buy a property Subject To, it means you are getting the deed to that property. The seller (the person who has that property right now) who has the mortgage on that property is going to sign the deed over to you or into your company’s name and you’re going to start making payments on their loan. You’re not going to be applying for their loan. You’re not going to be qualifying for their loan. You’re not going to be responsible for their loan other than your own moral responsibility to make sure that your seller is taken care of. Joe: What happens is you’re able to take over a property without putting any cash into it, without using any credit and you get the deed to the property. The deed is ownership of that property – that’s the sweetest position to be in as a property owner. Now, there’s lots of ways to be a principle in a transaction, but to actually be the owner of that property, to be on that deed – that’s the strongest position you can be in and it’s the hardest one for anyone to dislodge you from if ever there is a dispute in that transaction. You want to be on that deed. Joe: There are lots of different ifs, ands and buts about Subject To’s; why you should do them, what the risks are, why you shouldn’t do them, what to look out for, all of those different things. I’m not going to cover those things here but Subject To’s are at the top of the hierarchy. 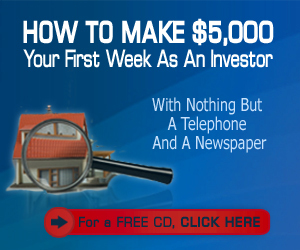 That’s going to be your first choice to buy any property. I have a templated set of documents that I developed over the years in my Push Button Method program and my Mentor Program that include things like disclosures and permission to speak with the lender and insurance carrier, but the main document is a Warranty Deed. You create it for them and they sign it in front of a notary. Sometimes you record it and sometimes you don’t, depending on the situation. That’s it in a nutshell – very simple actually. Thanks for your response but, I must have missed the message about “How does the seller â€œgiveâ€, transfer or sell you the deed? What is the physical process, paperwork,etc?” How is that done? Who does that? Yes, I’ve had lots of folks use my material there. I’ve had students in Canada, the UK, Australia, France, Belgium, Malaysia and Costa Rica use these techniques. That’s a good question. The lender does not get the deed to the property, they get a mortgage or a trust deed. This is a lien against the title (the deed is the document that transfers title). The borrower gets the deed and can transfer it any way they choose. Keep in mind – the lender has a “due on sale” clause within their mortgage that allows them to foreclose on the property if the deed is transferred without their permission. But, banks are not anxious to foreclose on loans that are performing. We have done this type of transaction thousands of times and have NEVER had a loan foreclosed on for this reason. I suppose there is always a first time, but if it happens, it will not affect our credit. The lender would be nuts to do it. I should also say that if you bought the property with a Land Contract or Contract for Deed, you would not have the deed and would not be able to transfer the deed. That is why you always want to use my hierarchy of zero down strutures so you have the deed and are the one who has the most control in any transaction. Doesn’t the mortgage company “own” the property until the loan is paid off? How does the seller “give” you the deed? What is the physical process, paperwork,etc? You can still use the multi-mortgage technique with properties that are free and clear. 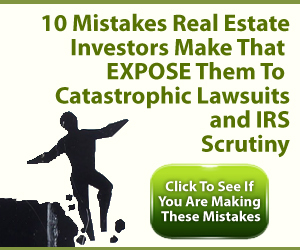 It gives you the deed and a note against the property payable to the seller. It’s an excellent way to do this. Good luck to you. 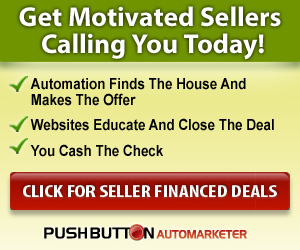 THANK YOU FOR ALL YOUR VALUABLE INFORMATION ON FLIPPING HOUSES. QUESTION: DO WORK WITH PROPERTIES THAT ARE FREE AND CLEAR. I HAVE ACCESS TO NAMES, ADDRESS, PHONE NUMBERS, ANY STATE WITH ZIP CODES, AMOUNT OF HOUSE, AND THE PHONE NUMBER OF THE OWNERS OF THE HOMES. I BELIEVE YOU CAN DO A HYBRID OFFER WHERE YOU CAN OFFFER OWNER FINANCING TO A FIRST TIME HOME BUYER, AND STILL PULL OUT CASH FOR YOURSELF. 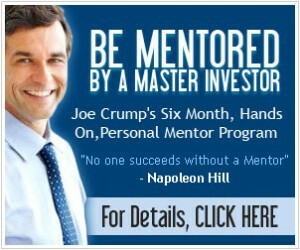 HAVE YOU EVER DONE A DEAL OF THIS NATURE, JOE. PLEASE ADVISE. THANK YOU, MARC W. FARBER @ 310-552-1710 PDT.